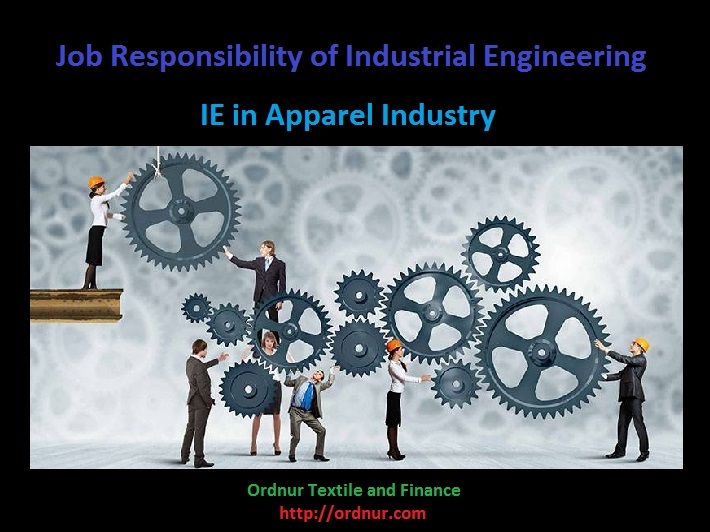 Home » Posts tagged "Industrial Engineering in Apparel Industry"
Before appointing an industrial engineer for the apparel industry, you have to keep in mind the Job Responsibility of IE in Apparel Industry. Here IE means Industrial Engineering. The world has limited resources but day by day we need to produce more and more product. The challenge is to increase productivity by using the least amount of resources. Garments industry is very much competitive. So in this competitive industry, it is a big challenge for Bangladesh or any other country to survive. We are looking for a solution where we will get more productive technology with lower cost. Industrial Engineering is all about optimization of limited resources. 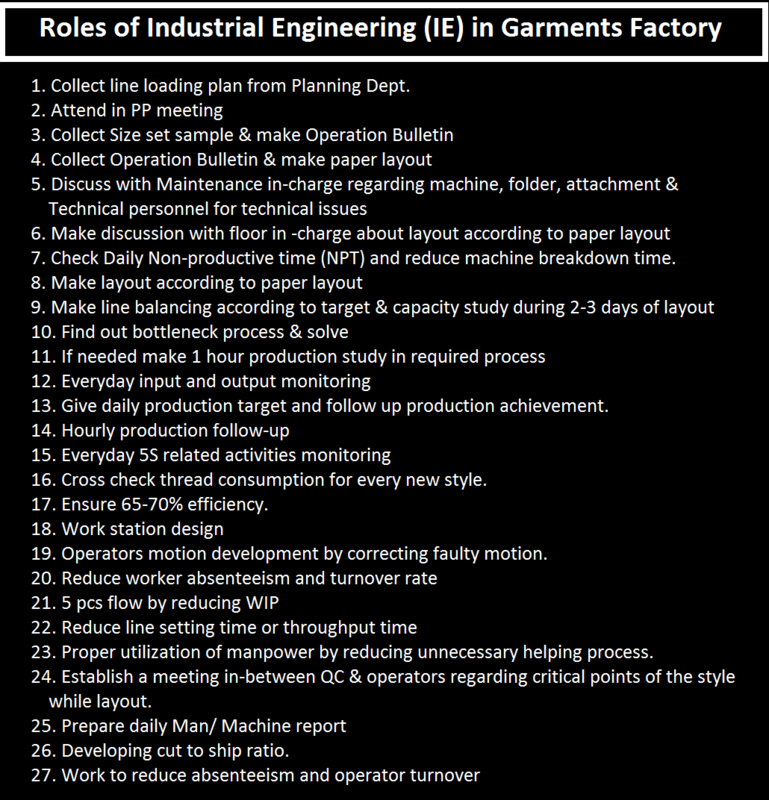 Generally, Optimization, Planning, and Process Control is the core work in apparel for the industrial engineering department.